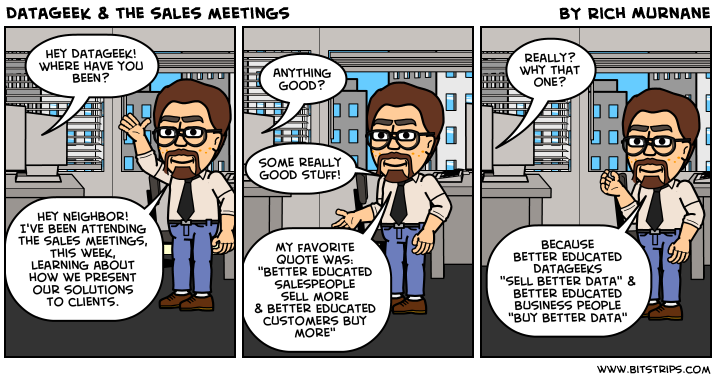 DataGeek was invited to sales meetings this week and is learning a ton and he's seeing tons of parallels between "selling products" and "selling mature data management". It's doubtful we'll see DataGeek again this week since he's busy getting an "MBA in a week" here at the office. DataGeek & "The Edge of Glory"